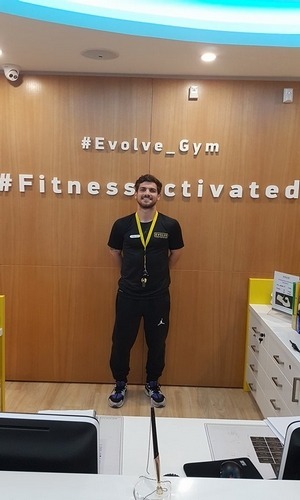 Constantinos is an Operations Manager and one of our Fitness Trainers here at Evolve Fitness & Wellness. He graduated from the University of Nicosia in Cyprus with distinction from the BSc degree in Sports Science. He was also recognized by the School of Sciences & Engineering of the University of Nicosia for his achievement as “the 2nd best Graduating student in BSc Sports Science”. He deals in Bodybuilding for the last 10 years and in a participation in a Body Building contest, he won the first place in classic category 1.70+ and first place overall. In Pancyprian student games, in 2009 and 2010 respectively, he won the third place with his Volleyball team and the second place with his Basketball team. Also, in the provincial student – athletics javelin competition in 2010, he won the third place. He serviced the army in Special Forces for two years. Constantinos works as a personal trainer for the last 3 years. 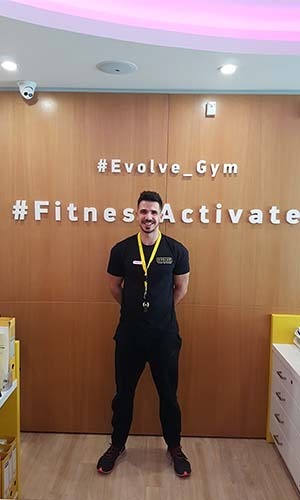 Nikolas is one of the trainers at Evolve gym Fitness & Wellness. He studied at Ι.I.E.K. DELTA in Thessaloniki sports science specializing in free weights. Nikolas, at an early age, dealt with various sports such as basketball and stadium soccer. Over the last 3 years he has also been involved in personal training. George is one of our fitness trainer here at evolve fitness and wellness training center. He graduated from the university of Nicosia in Cyprus from the BSC degree in sports science. He serviced the army in military police. George works as a personal trainer for the last 3 years . he also holds TRX suspension training class, functional training and tabata. 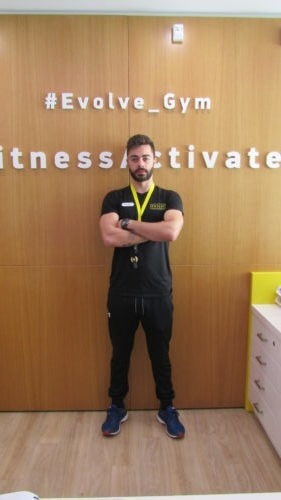 George worked in many gyms in Nicosia. 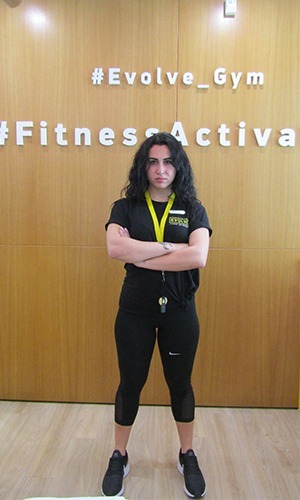 Maria one of our Fitness Trainers here at Evolve Fitness & Wellness. She worked as an ems personal trainer. She took part as a shadow instructor in “Fitness Day Marathon” event, presenting Body Attack and Body Combat by Less Mills with others. She’s a former 200 meters sprinter and she’s addicted to crossfit and outdoor activities. 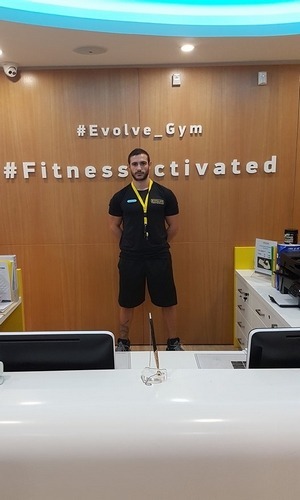 Panagiotis one of our Fitness Trainers here at Evolve Fitness & Wellness.